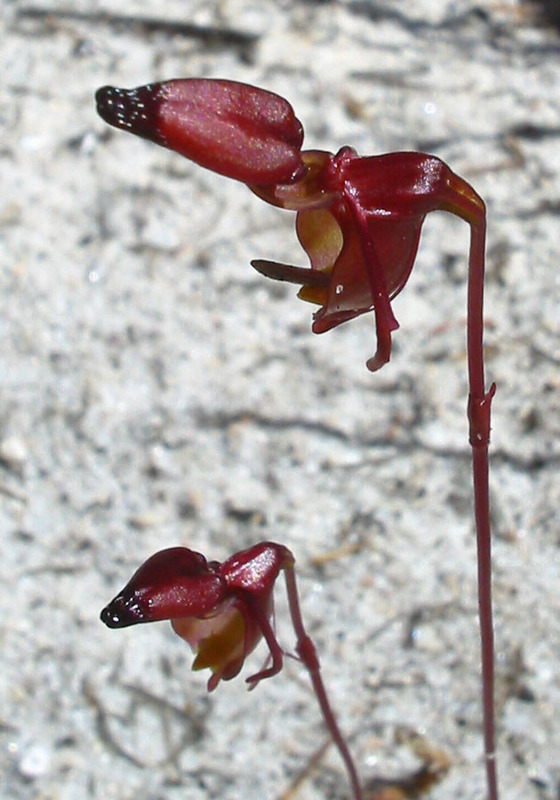 These small orchids resemble flying ducks, hence the common name and due to their small size (1-2cm) and drab colour, are generally difficult to locate. 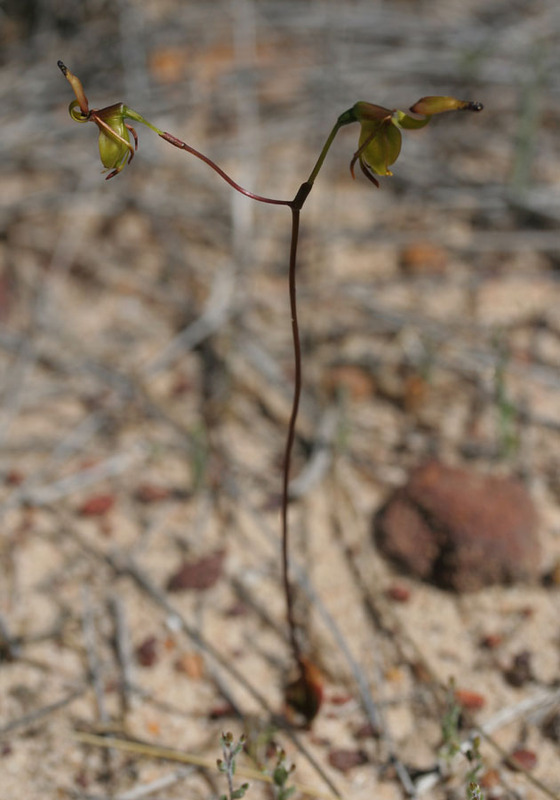 As a group, they are relatively common throughout the lower south west and out toward the western wheatbelt. 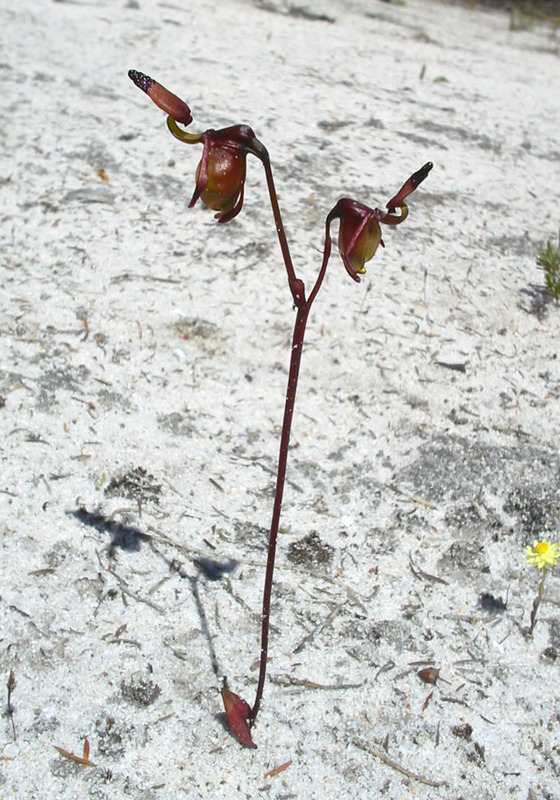 They prefer the same conditions as the hammer orchids, in sandy clearings, and are often found growing together with hammer orchid species. 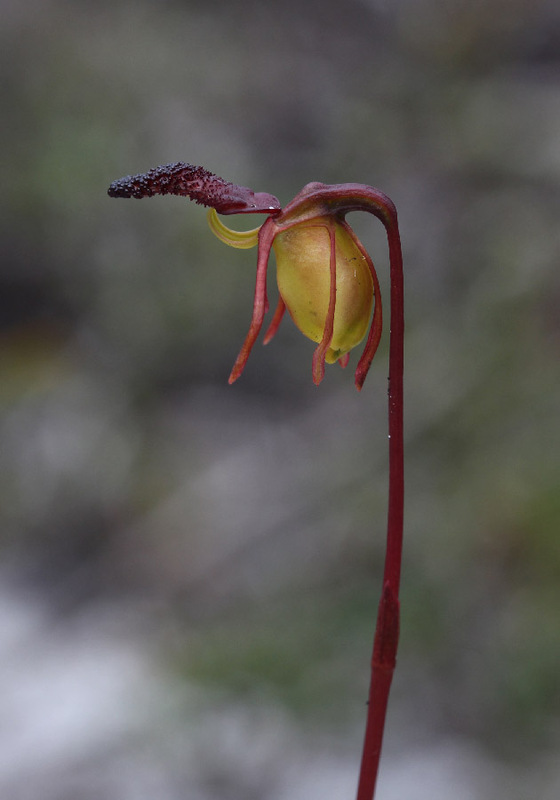 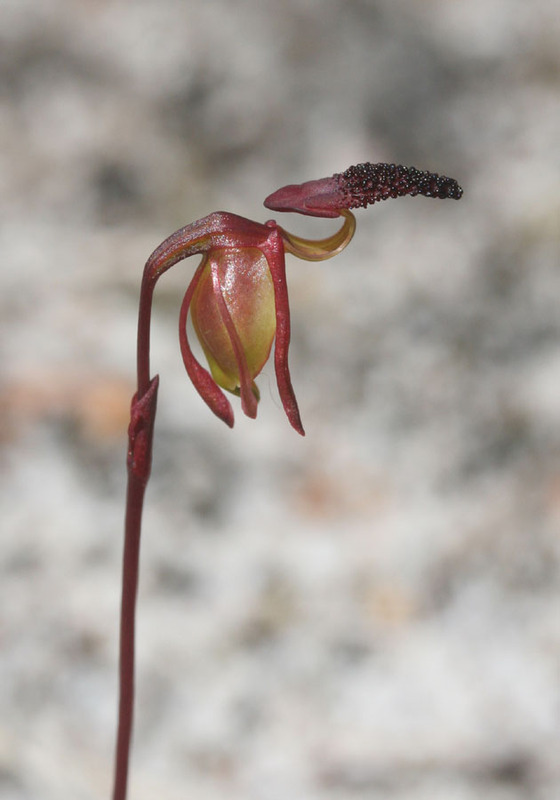 The Flying Duck Orchid is distinguished from other Duck Orchids by the calli, which cover more than half of the length of the narrow labellum.The labellum also is distinctly humped about halfway along its length. 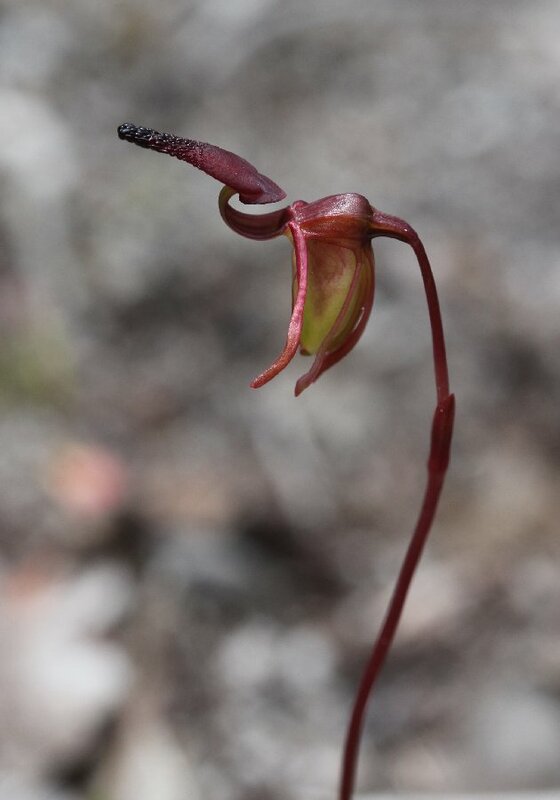 The Hort's Duck Orchid is very similar to the 'normal' Flying Duck Orchid (P. nigrita) and is distinguished by the labellum, which is not humped in the middle. 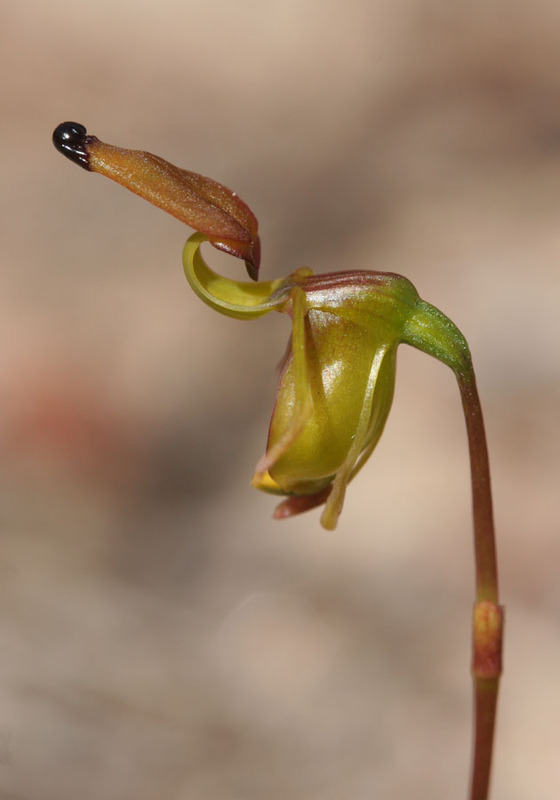 It also has less calli, which extends only a small length along the labellum. 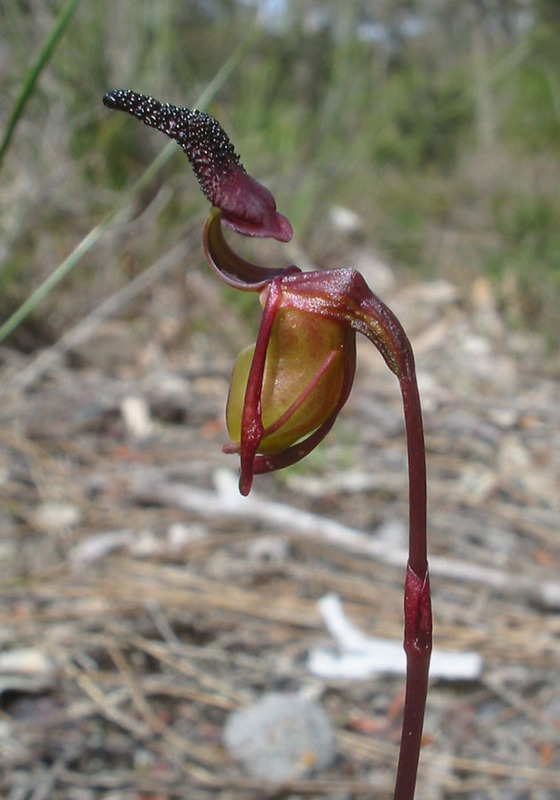 The Broad-billed Duck Orchid is distinguished by by its labellum. 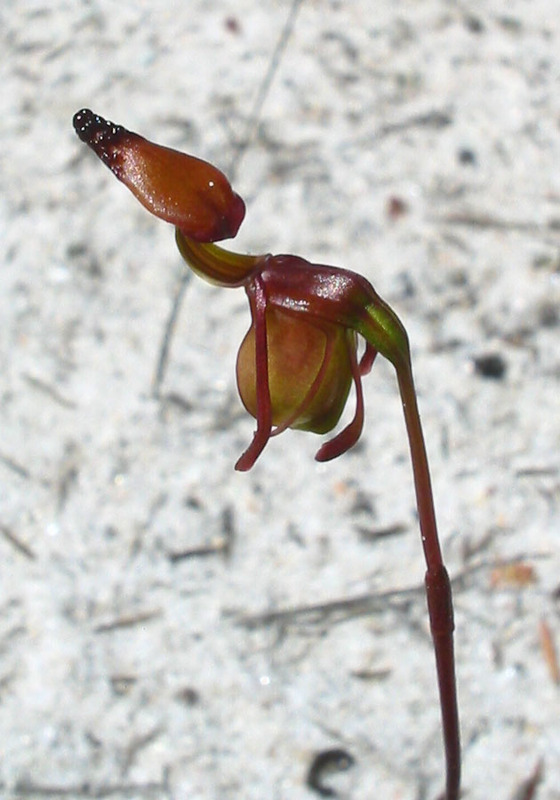 It is broader than the Flying Duck Orchid and the calli cover about one third of its length. 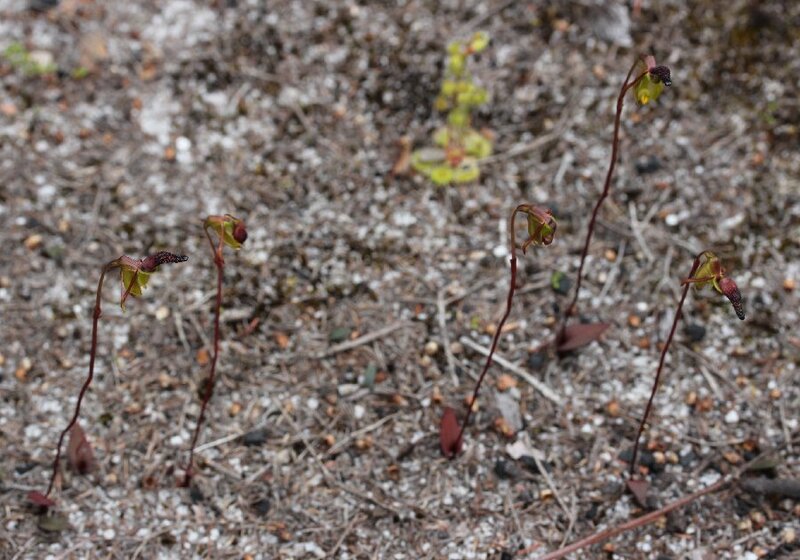 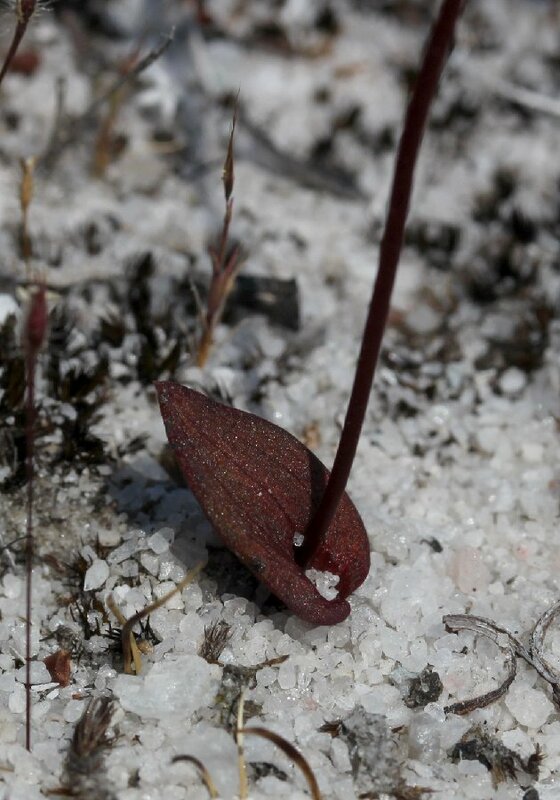 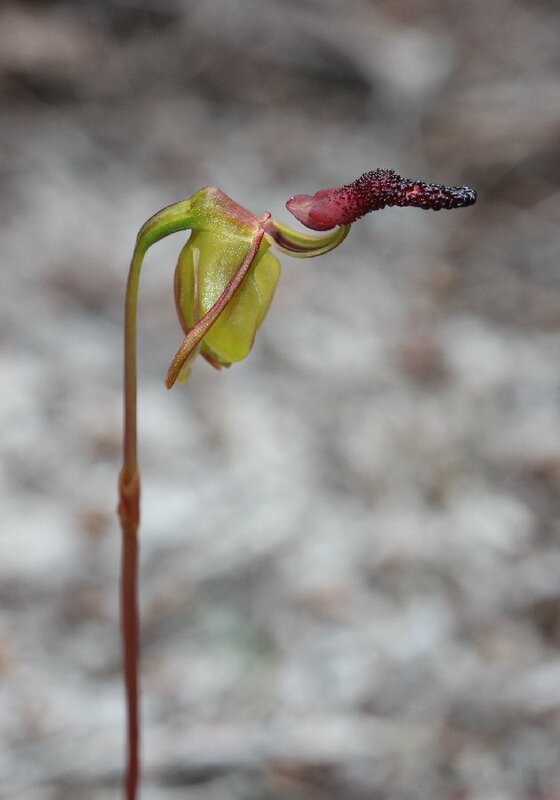 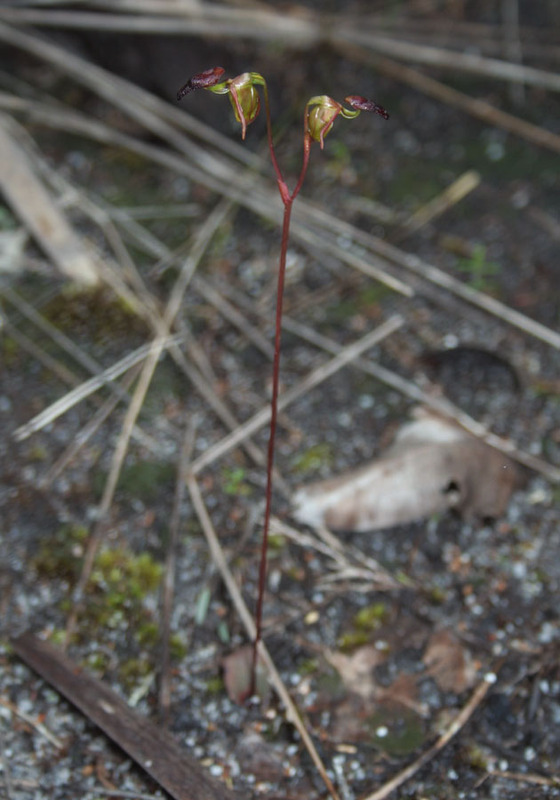 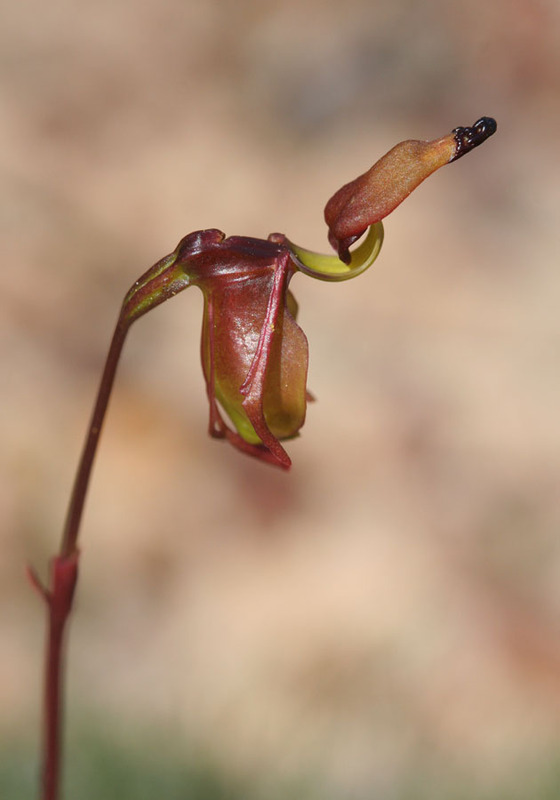 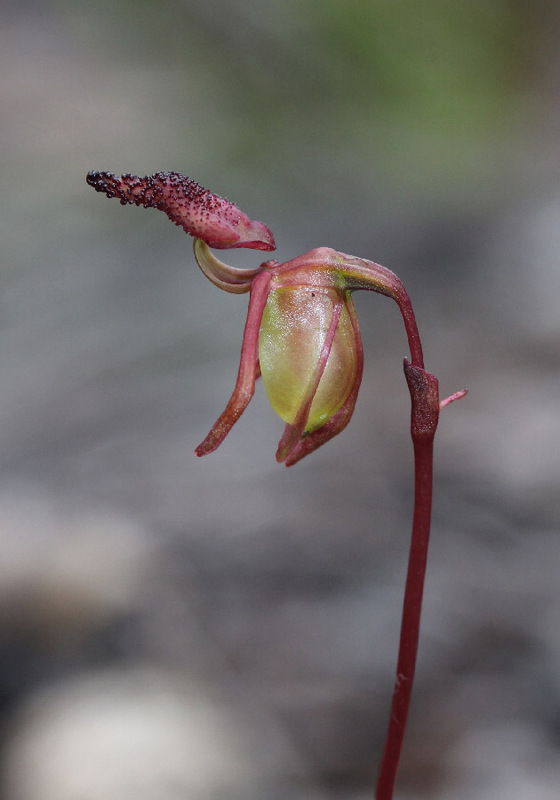 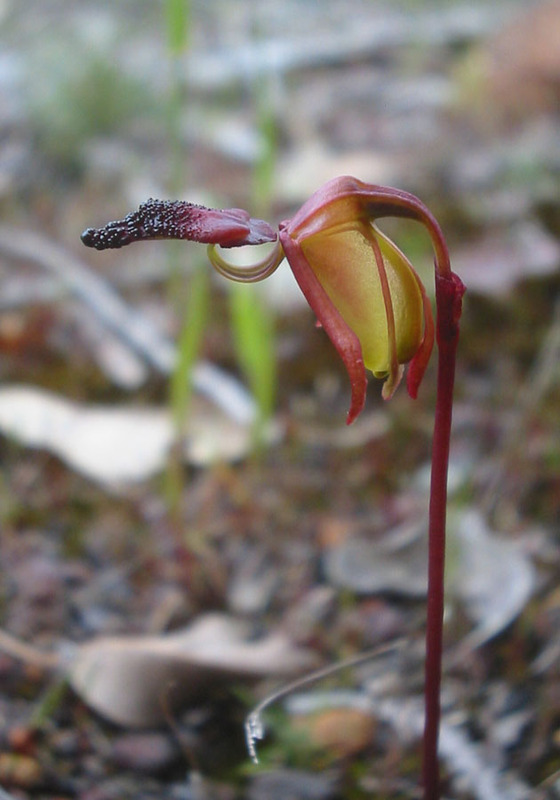 The plants are also generally smaller than those of the Flying Duck Orchid. 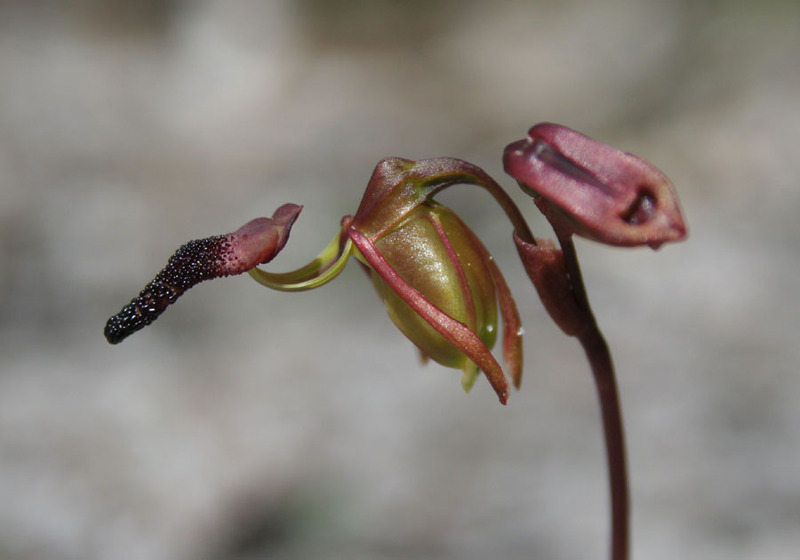 The Smooth-billed Duck Orchid is similar to the Broad-billed Duck Orchid in that it only has calli on the very tip of the labellum. 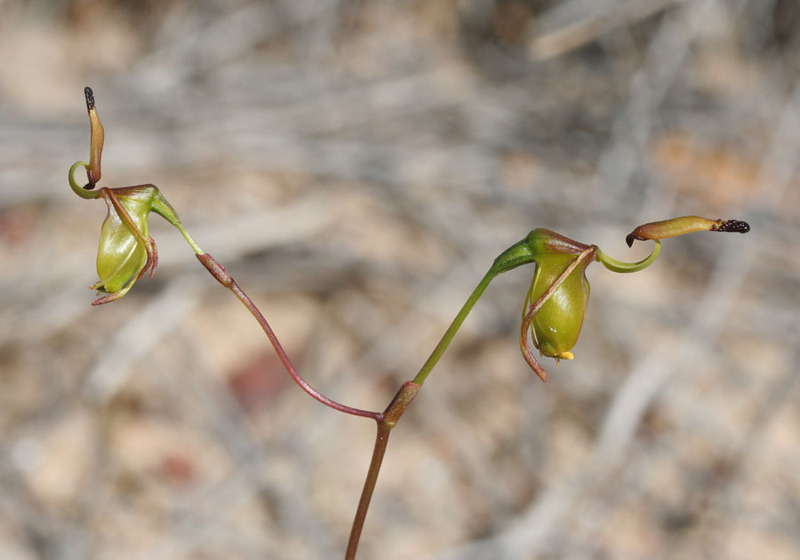 The labellum, however, is a lot narrower. 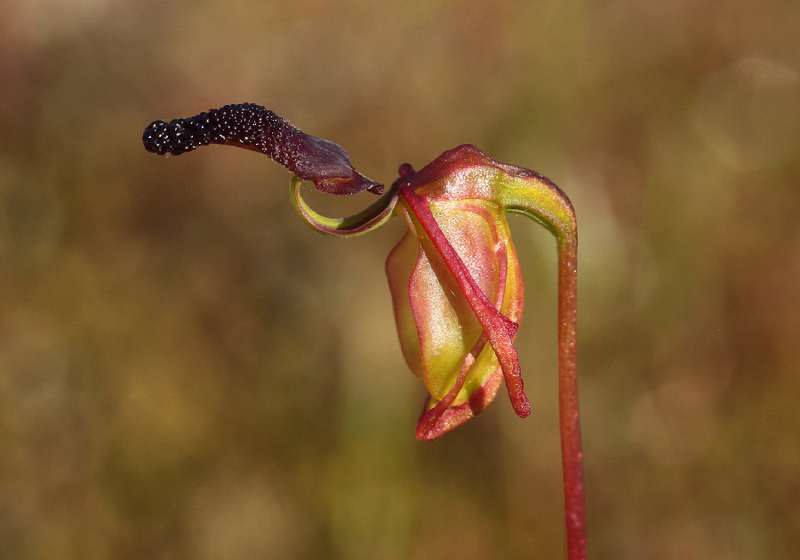 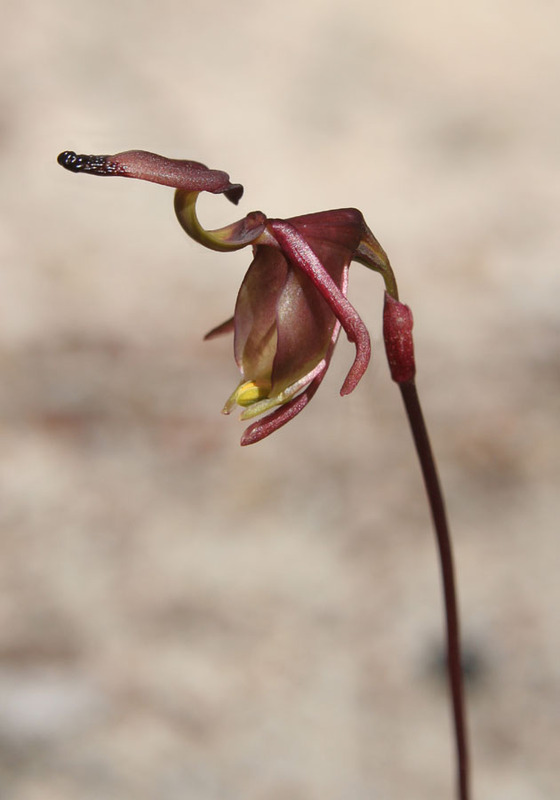 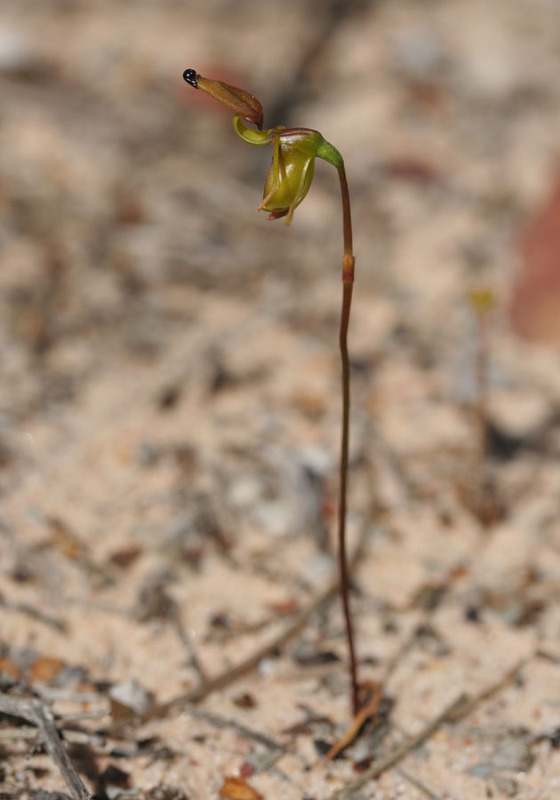 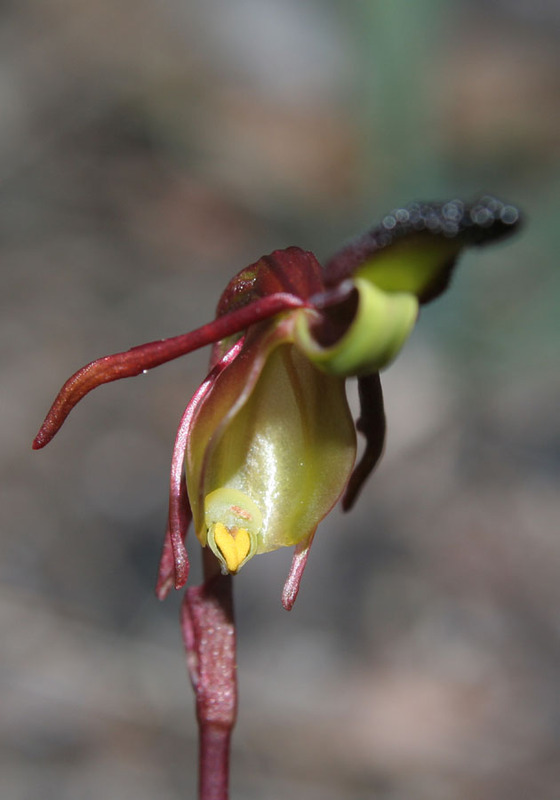 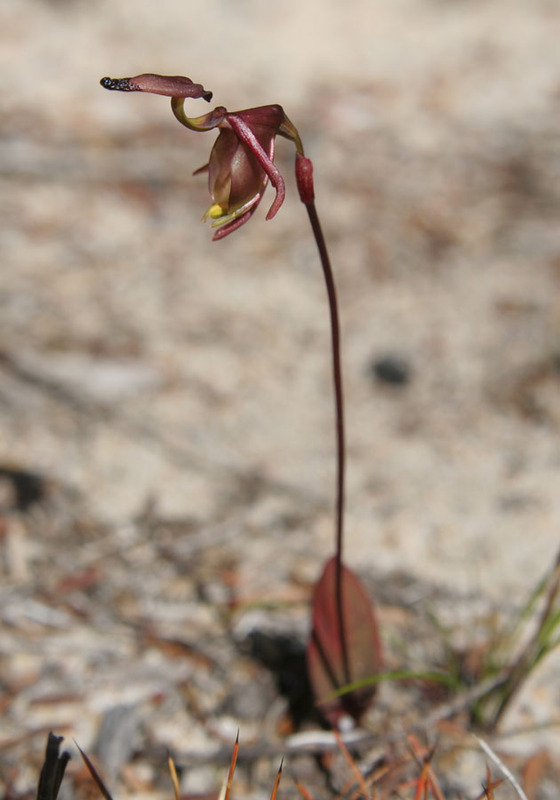 The orchid is found from Geraldton to north of Kalbarri.